If you’ve been with us for a while, you might know that Kim and I (one half of the editors on this site) adopted our sons from Guatemala four years ago this month. Ever since then, we’ve been a multi-ethnic, multi-cultural family, and we’re constantly mindful of bringing elements of our sons’ heritage into our home… It’s a challenge that we’ll never fully complete living in the states, and is made more difficult by the fact that we are not Guatemalans and Spanish is a second language for us. 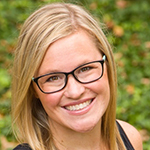 Kim writes about international adoption over at her blog, American Mamacita, and our topics (home improvement and international adoption) rarely intersect. Except in this post, where I show you how we’ve decorated our dining room with some of the most beautiful art we found on our recent trip to Guatemala, complemented by several pieces Kim picked up on a trip to El Salvador last February and several other pieces we purchased when we traveled to Guatemala the first time to pick up our sons. While we love some of the pictures and prints available at Target or the gorgeous frames available at Michaels or Jo-Ann Fabrics, I am enamored with art that means something to us. And every one of these pieces reminds us of something when we see it. 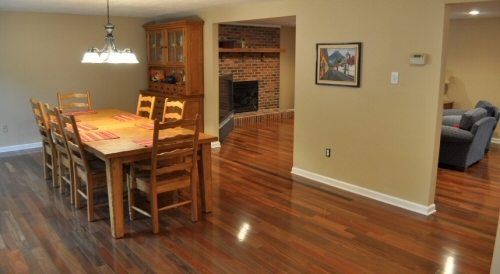 First, here’s a picture of our dining room just after we finished laying the Brazilian Walnut hardwoods last Summer. 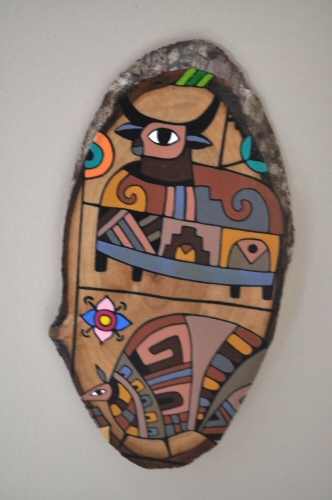 This picture shows one piece of art we had purchased on our first trip to Guatemala. It is a picture of a street in Antigua, Guatemala with a volcano in the background. You can see this portrait up close from a previous article we wrote. The back wall behind the table is a pretty large expanse. We knew we wanted to put a six foot wide painting back there, and when we traveled to Guatemala in October, we found a beautiful knife painting while in the market town of Chichicastenango. In order to get it back to the States, we had to take the canvas off the wood stretcher and roll it in a tube, then pay to have it re-stretched in the states. We found a 1/2 off special at Michaels, and the re-stretch ended up costing us about $200 – nearly as much as the painting itself! Here’s the dining room now, with that print and a few more changes, including a black buffet we purchased online (more to come on that in a future article). And here’s a close-up of that large painting. Don’t you just love the fiery reds and yellows in the horizon? 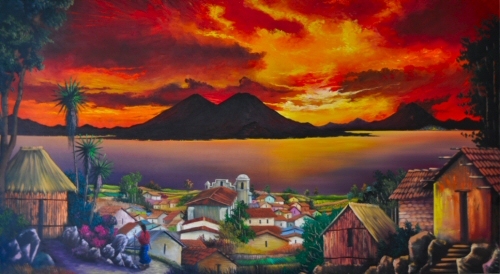 This is a picture painted from a vantage point in Panajachel, Guatemala, on the shore of Lake Atitlan. In all likelihood, the painter sat on a hill and painted (mostly) what he saw. 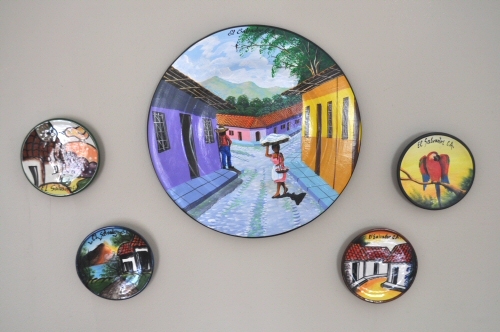 On the wall towards the front of the house, we hung a series of plates Kim purchased in El Salvador back in February. These show typical scenes from places in El Salvador, and are special to us because we are in process to adopt from El Salvador right now. We’re still figuring out just the right pieces of furniture to go on this side of the room, so you’ll have to forgive us skipping the whole-room shot. Here’s some up-close shots of the art. Both of these pieces are fairly small, and we have them hanging one on top of the other right now. We’re still figuring out what their ultimate destination will be in the house. I’ve cropped the cheap-looking frame from the feather because right now it detracts from its beauty. What I love most about our dining room setup is that it integrates two very different styles — early American and Central American — pretty well. The Brazilian Walnut floors we chose create visual interest on the floor, but they don’t detract from the colors that pop from the walls. This is one of the reasons that we love the idea of painting all the walls on a floor (or even in a whole house) in neutral colors. 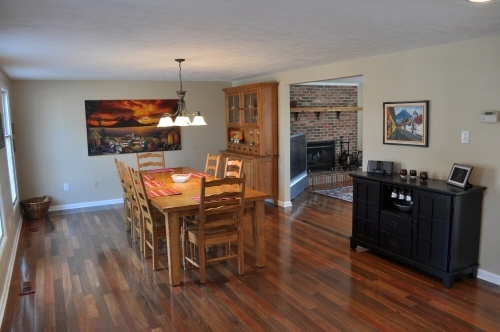 You can add color (or even dramatic color) without worrying about matching other colors in the room. And before I go, I wanted to mention that if you’d like to meet our family, you can see pictures of all of us right here. Thanks for sharing your art and unique family story. I too come from a multi-cultural family with myself and two sisters all adopted. We all know how to make a memorable impression. Hope all is progressing well with your current adoption process. What a blessing for your children to be able to view daily these beautiful pieces of their heritage. Thank you for sharing this art with your followers, but, more importantly, God bless you for caring for these children. How can i get ahold of a Guatemalan painting?